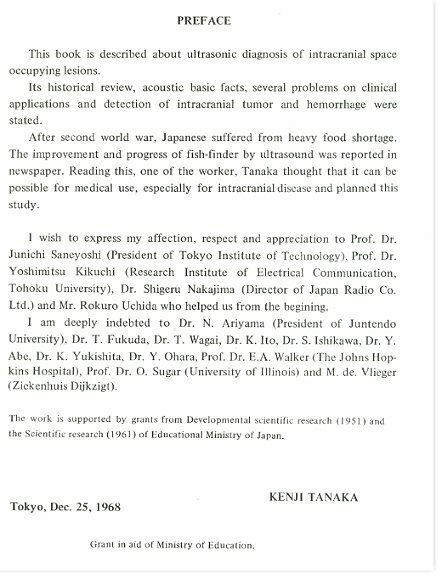 Below is the Preface taken from the book "Diagnosis of Brain Disease by Ultrasound" edited by Kenji Tanaka, published in 1969 by the Shindan-To-Chiryo Sha Co., Ltd., Japan. 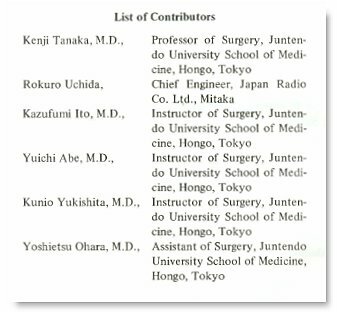 The pioneering personnel involved are detailed. 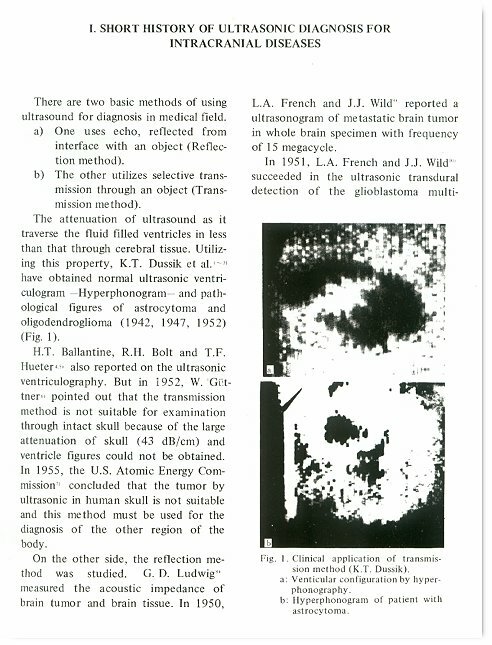 Below is the Introductory chapter in the same book on the "Short History of Ultrasonic Diagnosis for Intracranial Disease", written by Tanaka. 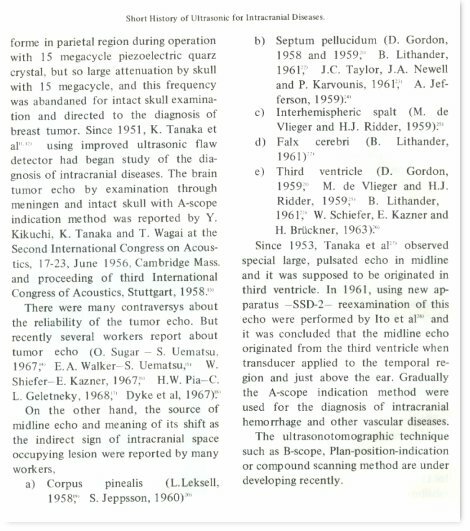 In it one can find Tanaka's perception of the ultrasound history at that time and his contribution as one of the earliest pioneers in this field.